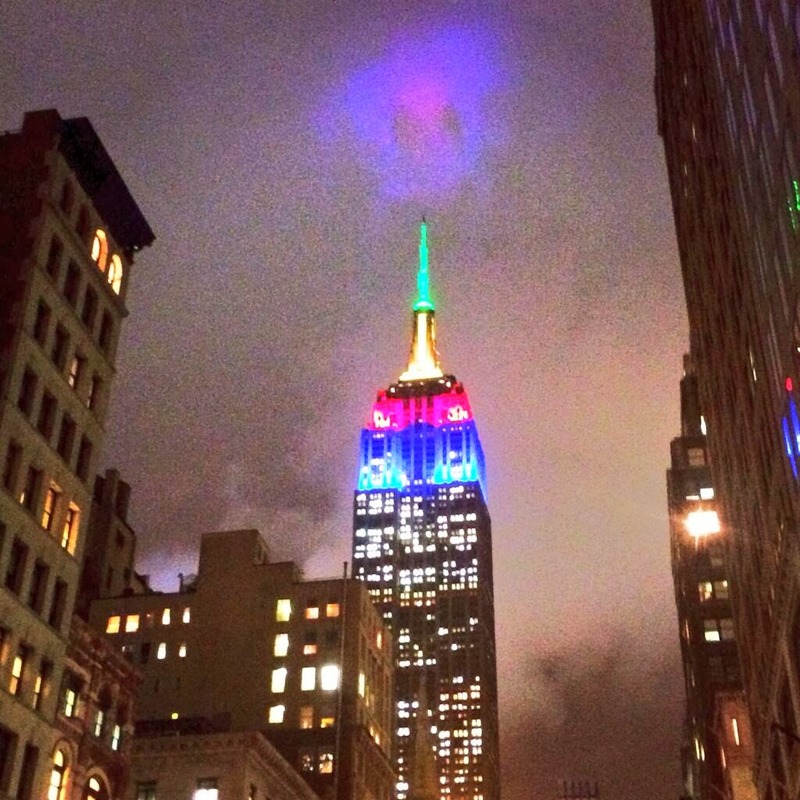 In honor of Nelson Mandela's passing, they lit up the Empire State Building in the South African national colors. A very nice tribute. The shot was taken on Fifth Avenue, looking North, from around 31st Street. The New York Yankees also will be placing a plaque to him in the Monuments section of Yankee Stadium.